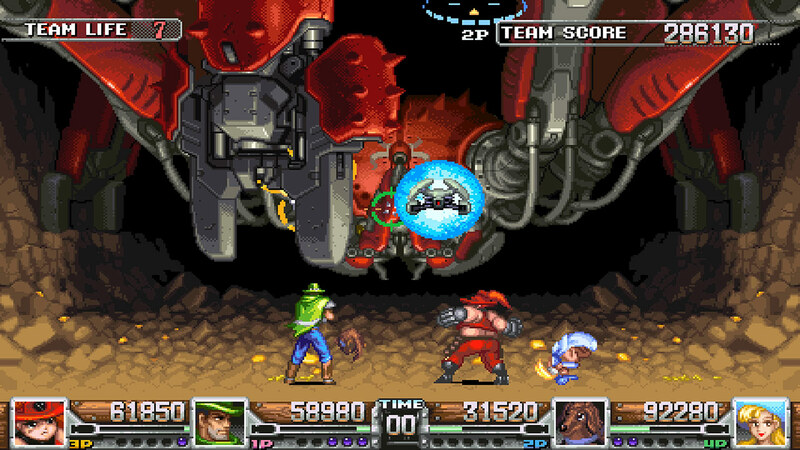 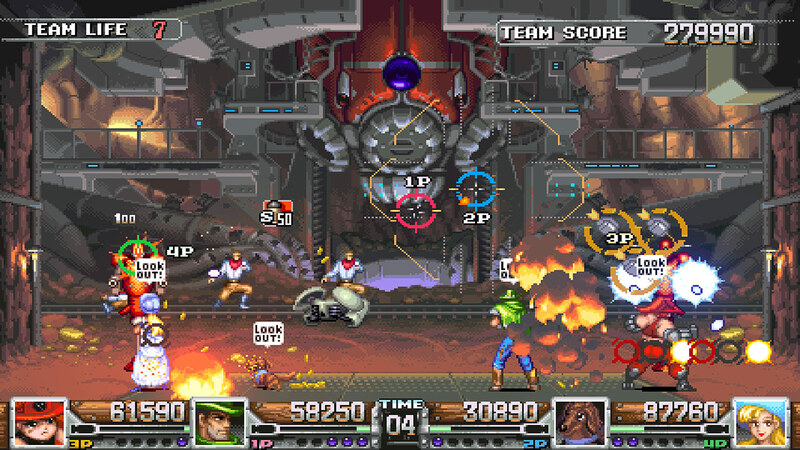 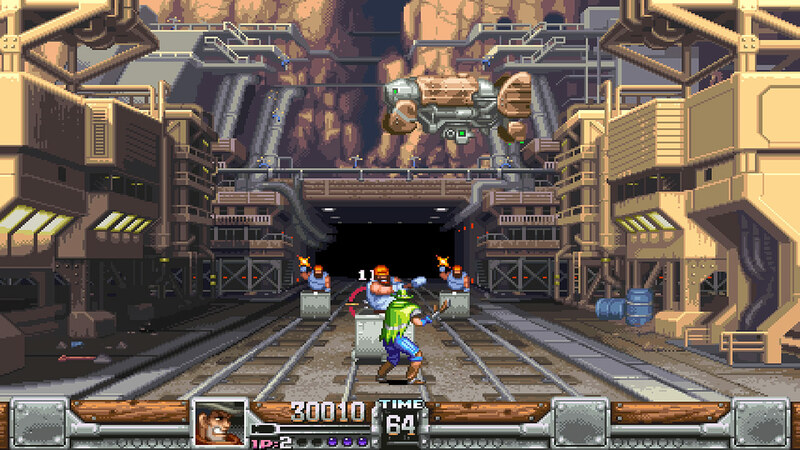 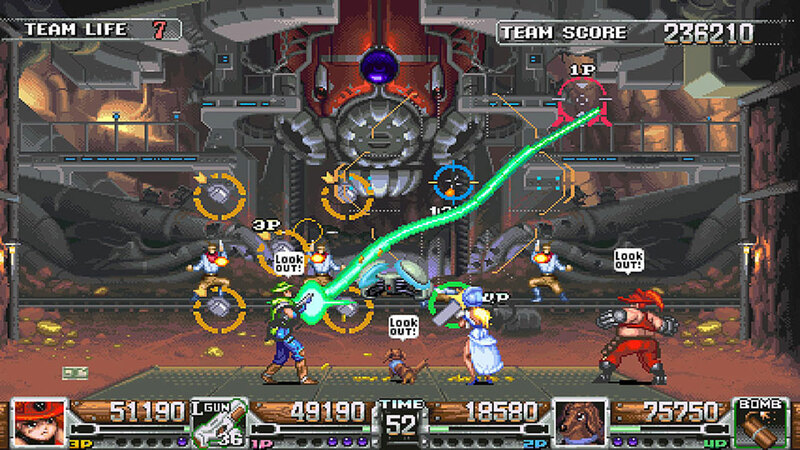 Wild Guns is a fast-paced arcade-style shooter, mixing the Wild West with steampunk. 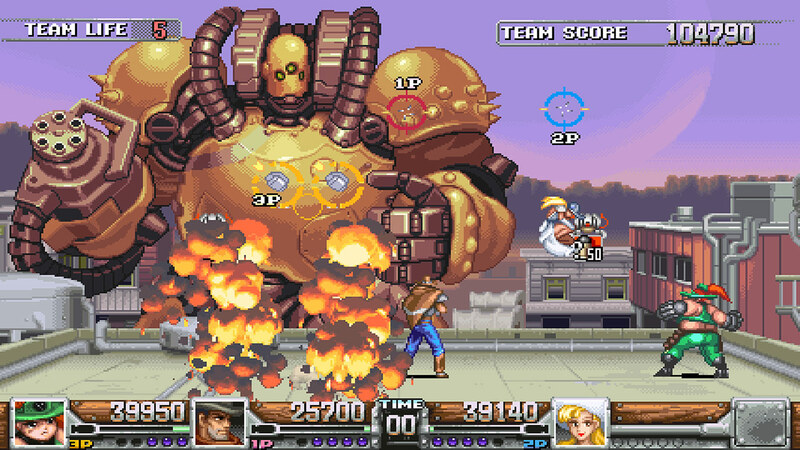 Play as Clint, Annie, Doris, or Bullet the dog with his sentry drone. 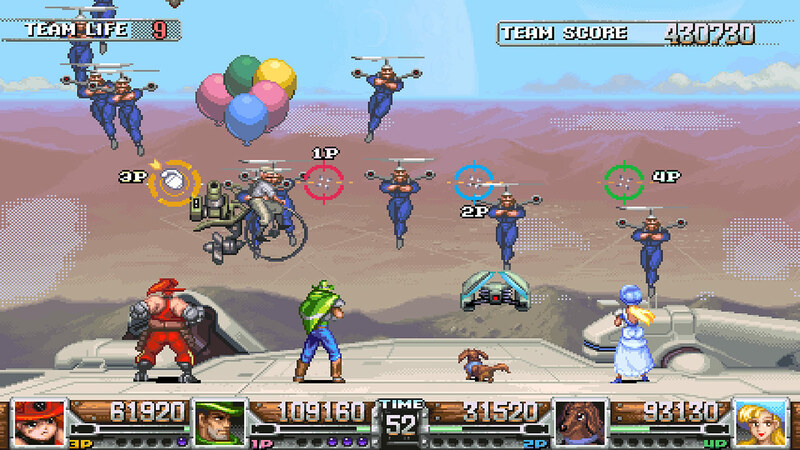 Grab some friends and play together for some four player action! 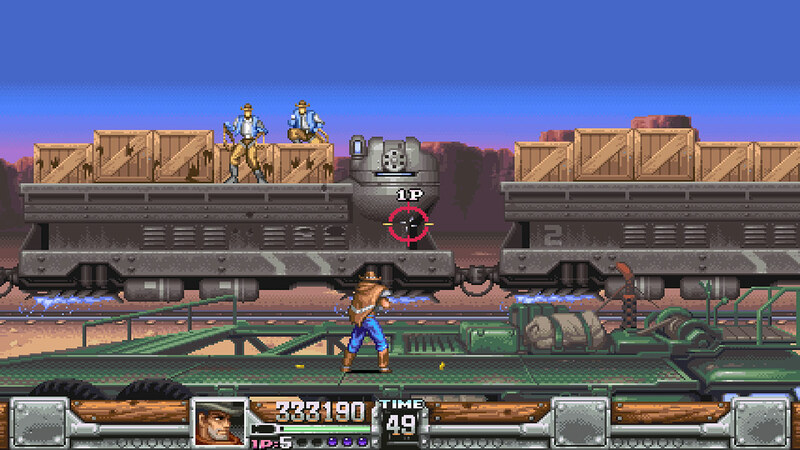 Each character can jump, dive, and roll to get out of the way of the barrage of bullets enemies let fly – or shoot them down with their own gun! 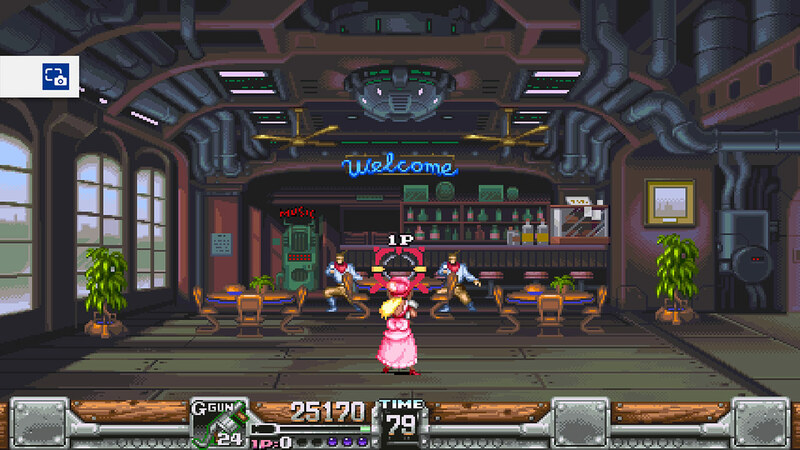 Two new characters, each with their own weapons and tactics! 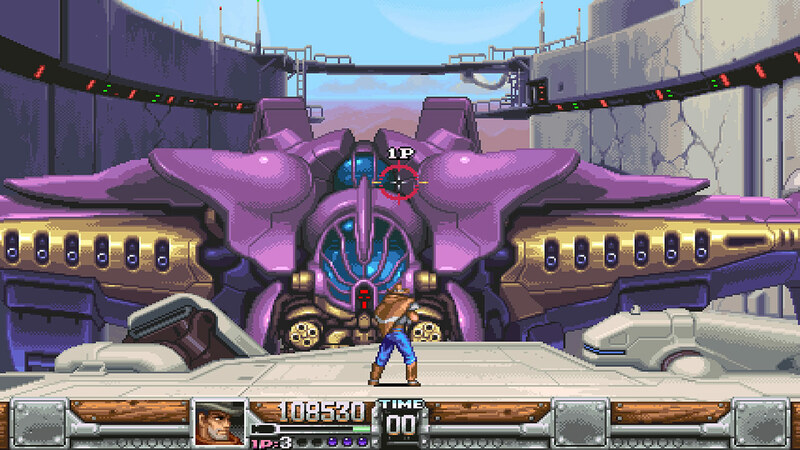 NEW Boss Enemies and Special Weapons! 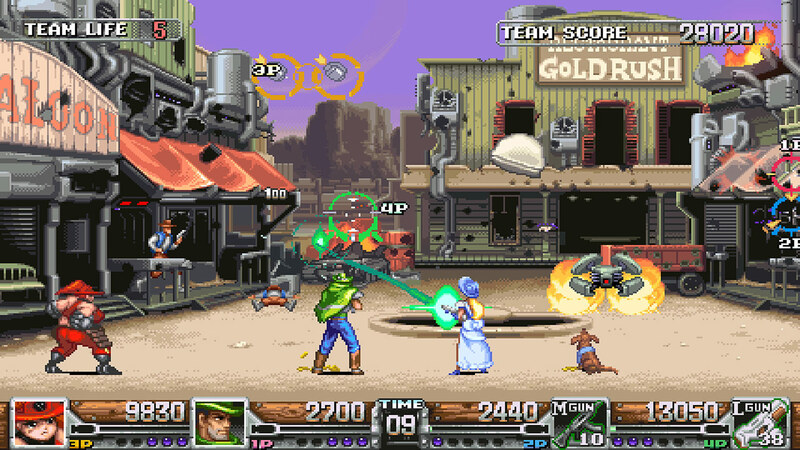 Wild Guns is a trademark of Natsume Inc./Natsume Atari Inc. ©2016 Natsume Inc. ©2016 Natsume Atari Inc. All Rights Reserved.